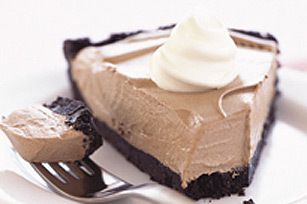 * You can make the crust by crushing chocolate cookies & mix with 1/4 C melted butter and then press into a pie pan. Beat pudding mix and milk in medium bowl with whisk 2 min. Stir in 1 cup Cool Whip; spoon into crust.